According to the U.S. Bureau of Labor Statistics, 271,900 individuals were employed as personal financial advisors in 2016. Between 2016 and 2026, the BLS expects job growth in this field to grow by 14 percent, which is faster than average across industries. This means 39,300 additional financial advisor positions are expected to be created by 2026. 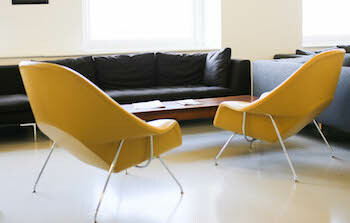 Financial advisors often work independently or as part of a finance and insurance agency. Regardless of whether you run your own show or work for an agency, marketing your services is a must to pick up new clients and secure additional business from your current clientele. While not exclusively dedicated to marketing topics, Tortoise Capital Advisors’ QuickTake podcast is a great resource to learn more about the most pressing current events in the finance industry. Keeping up with the latest news is important when it comes to marketing, especially when new products are introduced. 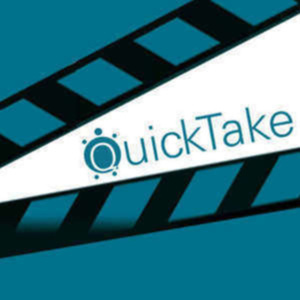 Many QuickTake episodes are just 15 minutes or less, making it easy for you to pick up tips on things such as marketing to the midstream market quickly. 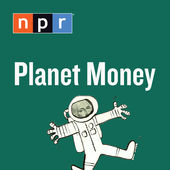 Although National Public Radio’s long-running podcast covers a wide breadth of topics, Planet Money is a must for financial planners at all stages of their careers. With more than 400 episodes already recorded, Planet Money includes many broadcasts that can help you market your services better. One such episode is entitled “This Ad’s for You,” which was released on September 6, 2017. This fantastic show is focused on Tom Burrell, who was the first African American male to work in advertising in Chicago. Over the course of his career, Burrell transformed the way we think about advertisements and the way advertisers view consumers. 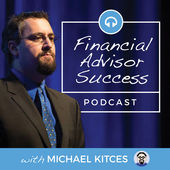 Hosted by Michael Kitces, who is also the publisher of the top financial industry blog “Nerd’s Eye, Financial Advisor Success should be a listening staple for every financial advisor. This podcast features real-life success stories from the nation’s most successful financial planners and consultants. In other words, Financial Advisor Success explains how entrepreneurial finance professionals grow their businesses successfully. 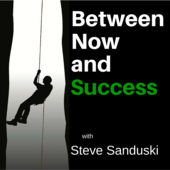 As if being an executive coach, speaker, blogger, New York Times best-selling author and the founder of the financial consultancy firm Belay Advisor wasn’t enough, Steve Sanduski is also the host of Between Now and Success. This podcast shares the stories of the financial industry’s top achievers and visionaries as they describe the tips and strategies they used to become successful. Pick up marketing tips and learn how to walk in the footsteps of successful advisors by tuning into Between Now and Success today. While the Fizzle Show appeals to small business owners across industries, it’s still relevant to many financial advisors who want to grow their business. 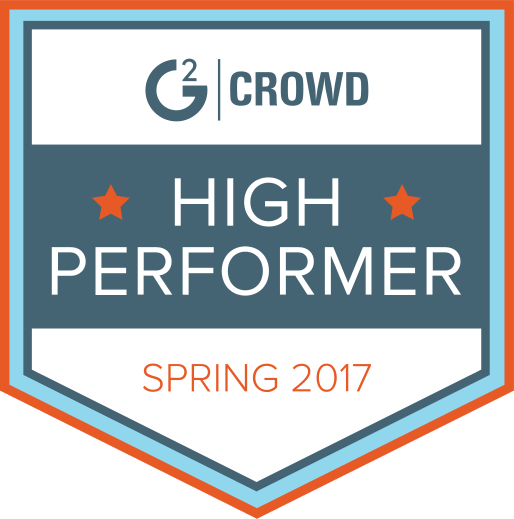 Hosted by Corbett Bar, Chase Reeves and Steph Crowder, marketing, audience growth and modern business essentials are frequent topics on this show. 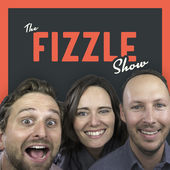 Tune in to The Fizzle Show if you want to do more than pass the time during your commute. 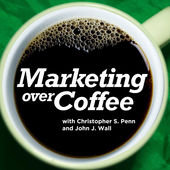 Hosted by John Wall and Christopher Penn, Marketing Over Coffee is a weekly podcast that discusses the latest trends and insights in marketing. From branding, renewing your domains and much more, Wall and Penn blend humor and information that will resonate well with financial planners who want to do a better job of marketing their practice. Tune into Marketing Over Coffee now. Hosts Dawn Marrs Ortiz and Traci Reuter created this podcast to help people who want to leverage the power of social media sites like Facebook in their favor. Every episode of Social Media Marketing Happy Hour is just 15 minutes long, making it possible to catch a whole episode and start using the show’s tips in less than 30 minutes. 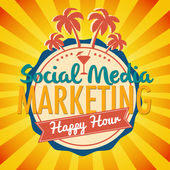 Listen to Social Media Marketing Happy Hour to learn how you can use social media to increase your business. 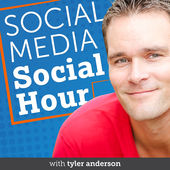 Tyler Anderson is a well-known social media entrepreneur who started Social Media Social Hour back in 2013. While his valuable marketing tips are useful across industries, they’re very much relevant to the financial industry. For advice regarding social media marketing, online marketing and content marketing, tune into Social Media Social Hour often. Mixergy gives you the chance to learn how other entrepreneurs became successful. Even if you work for a large agency, being a financial planner still requires you to have an entrepreneurial spirit because you constantly have to attract new business through marketing and other activities. 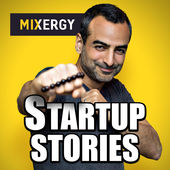 This makes Mixergy a must-listen for financial planners who aspire to greatness. 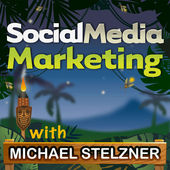 Hosted by Michael Stelzner and other members of the Social Media Examiner’s team, Social Media Marketing features interviews from the top social media marketing professionals. Financial planners who tune in can learn the latest social media marketing strategies and tactics. 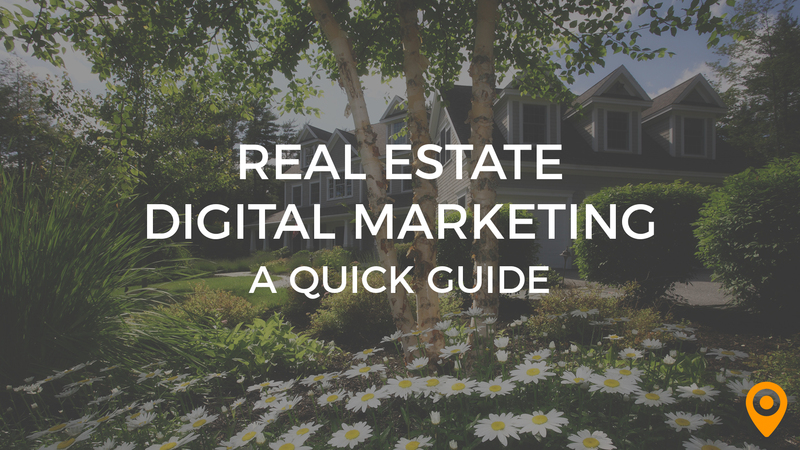 You can also pick up practical tips to improve the marketing you do on social media. Catch up on past and current episodes of Social Media Marketing today. This is one of the most powerful podcasts for growing a business that you’ll find anywhere. Whether you’re just starting out in the finance industry or you’re a veteran financial planner, you can pick up some strategies for success from leading performers in various industries, some of whom have never shared their advice publicly before. 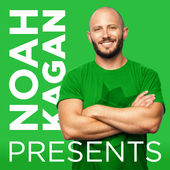 For actionable marketing and business tips, subscribe to Noah Kagan Presents. While you may be a finance expert, it doesn’t mean you can create effective copy. 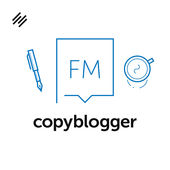 If you want to improve your content marketing skills, Copyblogger FM is a great resource for you. Every week, Sonia Simone and several rotating experts discuss relevant topics that can help you improve your marketing, such as content and email marketing, copywriting and optimizing conversions. 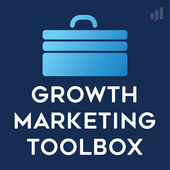 If you want to become familiar with the latest and best growth marketing tools and technology for your financial planning practice, Growth Marketing Toolbox is a must for you. Hosted by Earnworthy’s Nicholas Scalice, this podcast will introduce you to the newest and most effective marketing tools through interviews with marketers, product creators and more. Every time you listen to Growth Marketing Toolbox, you’ll learn actionable tips you can put to work immediately. Even if you don’t have a lot of time to learn about marketing, you should make it a point to listen to the 10-minute episodes that make up the Marketing School podcast when you can fit them into your schedule. 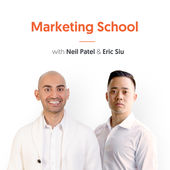 If you can’t carve 10 minutes out of your day, you can still benefit from the untraditional marketing tips that industry experts, Eric Siu and Neil Patel, offer because each episode has podcast notes you can skim quickly. 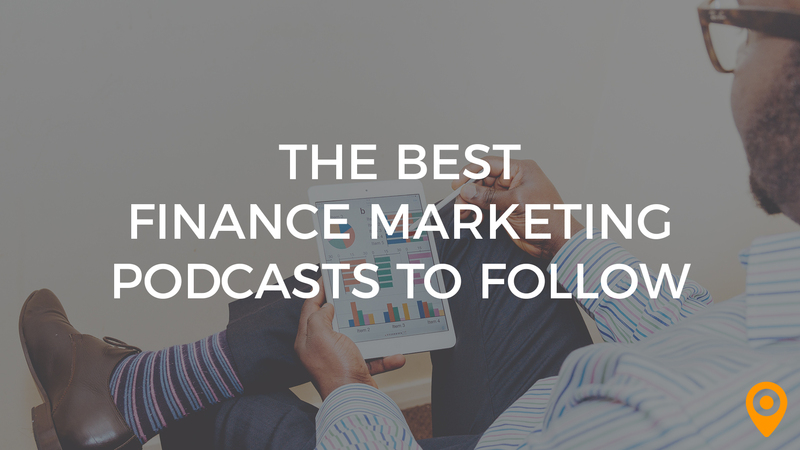 To learn tips to market your financial planning practice better, listen to Marketing School regularly. Of course, listening to podcasts can only take you so far. If you need help with your marketing efforts or to scale your current operations, consider working with an experienced finance marketing agency near you.